John Mayer really launched a generation of male feminists when he said “fathers be good to your daughters.” The latest ally is Maroon 5 frontman Adam Levine, who doesn’t mind spending ev-uh-ery day out on the corner in the pouring rain, and who also began to understand women’s struggles better after he had daughters. We’ll never know what would’ve happened if he didn’t have daughters. With this, Levine joins a long line of men whose support for women’s rights grew significantly after they became fathers—this includes Stephen Curry and Barack Obama. “We had a historic [midterm] election with how many women turned out and ran,” Levine told Variety. “Like, hell, we can actually do this!” Yes! To bring it back to Maroon 5, though, his sentiment explains the concept behind the “Girls Like You” video. 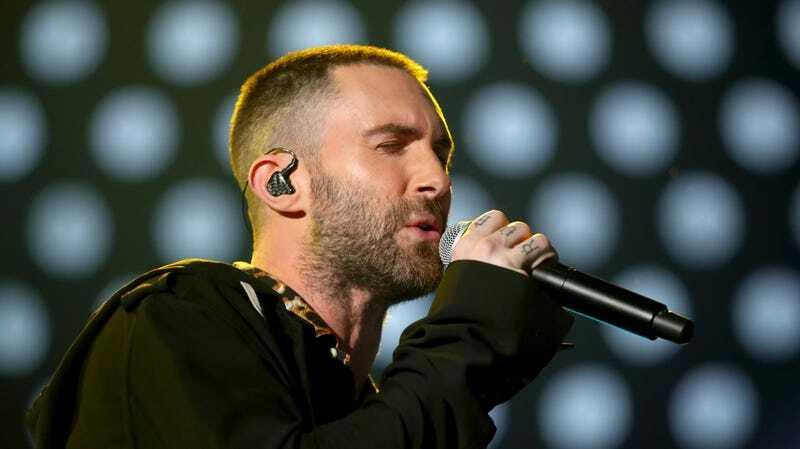 In it, Levine sings into a microphone while various women appear and disappear behind him and a camera circles around him. He did it “for all of us to remember as men to support these women.” Which is the right thing to say.